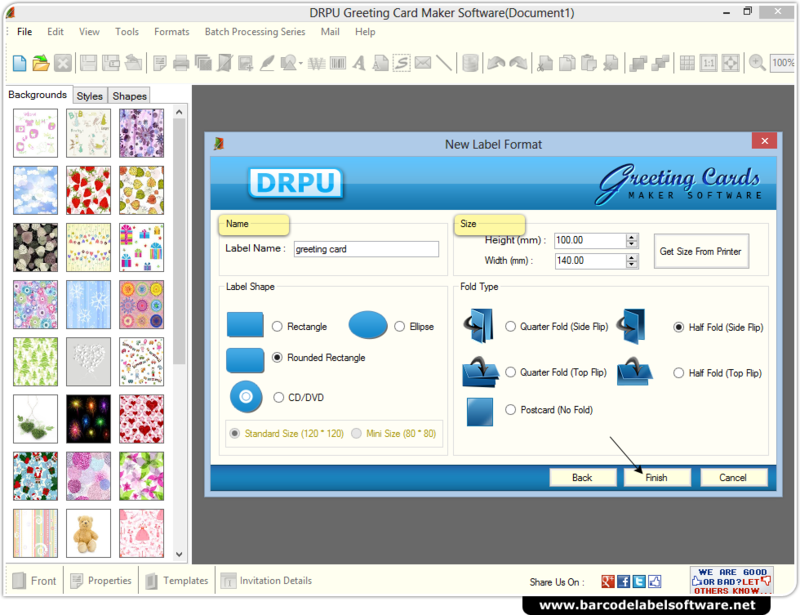 Choose any one option for 'New Label Format' and click on 'Next' button. 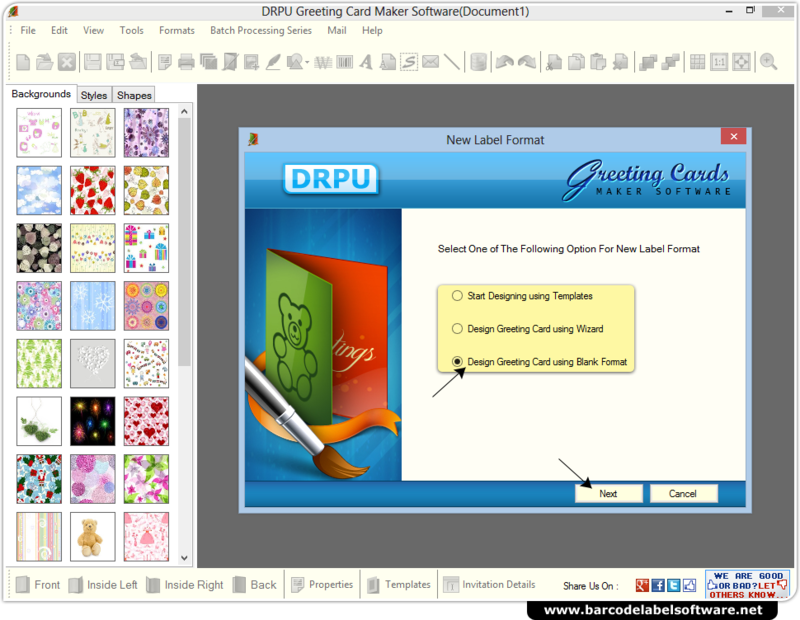 Choose Label Name, Label Shape and Label Size as per your requirements. 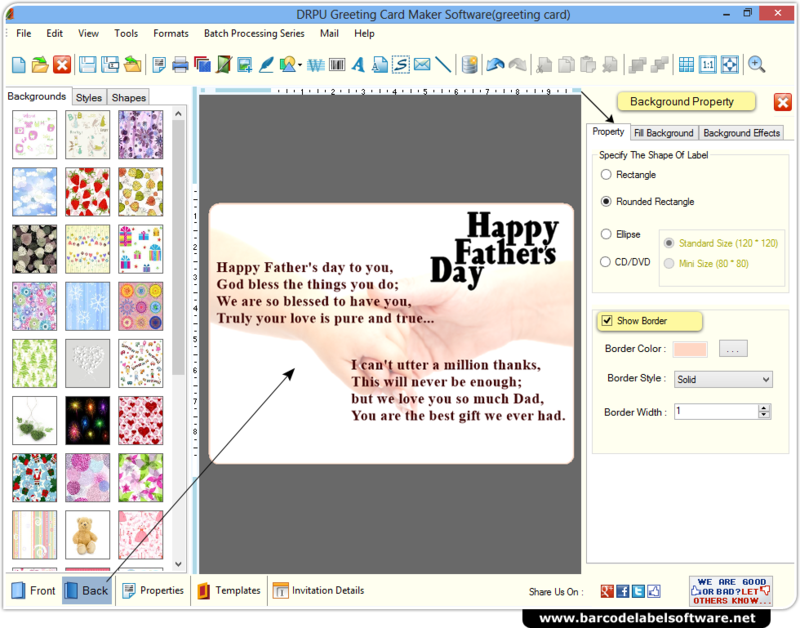 You can also add or modify Text on your greeting card using Text Properties. 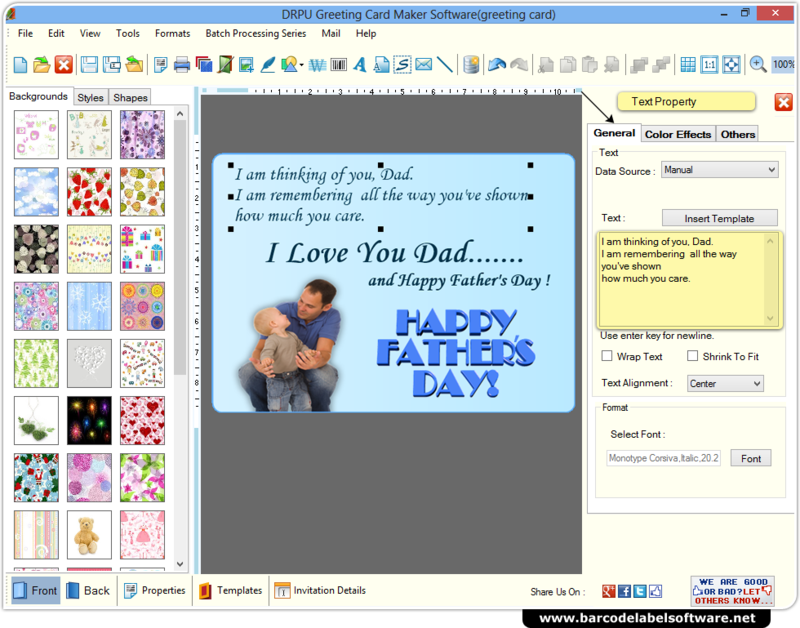 Now select background for your greeting card and change background properties according to your requirements.